If you require professional mold removal services in Atlanta, Georgia, you will be in good hands with Abatement Solutions, Inc. Our team can perform all the work needed to eliminate hazardous mold growth and prevent it from returning. Inspection – We will perform a thorough visual inspection and have air samples tested as needed to confirm whether the mold levels in your home or business pose a threat to the people that use the space. Water extraction – Because mold depends on moisture to grow, some water extraction work is often required before our mold removal services can begin. We utilize water extractors, fans, and dehumidifiers, as well as moisture meters to measure progress. Remediation – Containment barriers, air scrubbers, disinfectants, and fungicides are among the tools we will use to eliminate mold from your home or business in Atlanta, GA.
Reconstruction – We can replace baseboards, drywall, and perform any other general construction work needed to restore your property to its pre-mold condition. 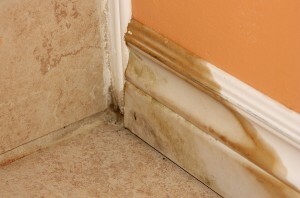 Prevention – By applying a protective coating to at-risk surfaces, we can prevent mold from growing back. We back this service with a 10-year warranty. Throughout the mold removal process, you can expect our team to work efficiently and demonstrate the utmost respect for you and your home. Known for our personalized customer service, we will assign one dedicated project manager to your project, who will keep you up to date on the status of our work every step of the way. If you require mold remediation and would like to put this important project in the hands of trusted specialists, contact Abatement Solutions today. We proudly provide mold removal services to homeowners in Atlanta, GA.